Treat Yo’ Self Thursday #5, When Life Gives You Lemons, Make Lemon Bars! We are finally up to the letter ‘L’! And in honor of the best letter in the alphabet (it’s pure coincidence that my name starts with it…), I decided to use a much loved citrus, ze lemon for a sweet treat. A fruit with nearly 50 varieties, the lemon is as versatile as it is plentiful. 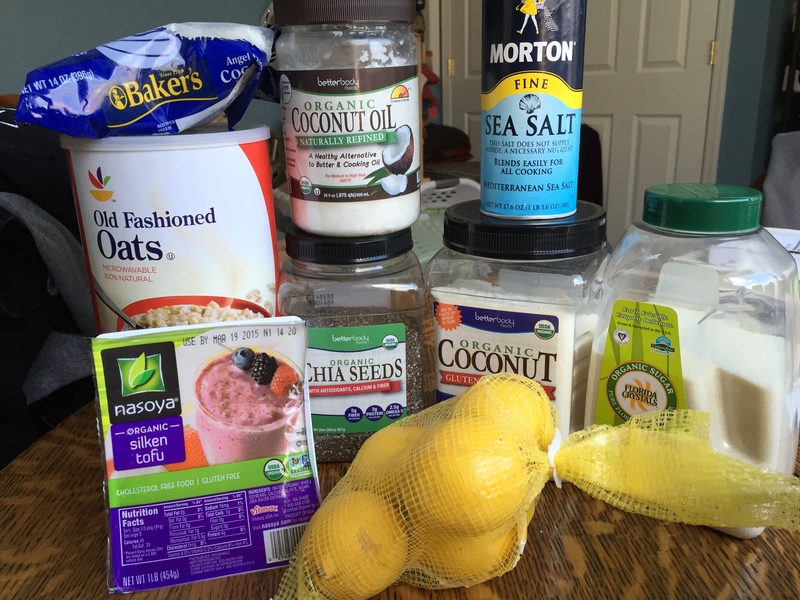 I decided the go a sweet in lieu of a savory route, and attempt to create a healthy lemon bar. Slightly sweet with a tart finish, lemon bars are the perfect treat to help get rid of the wintertime blues. 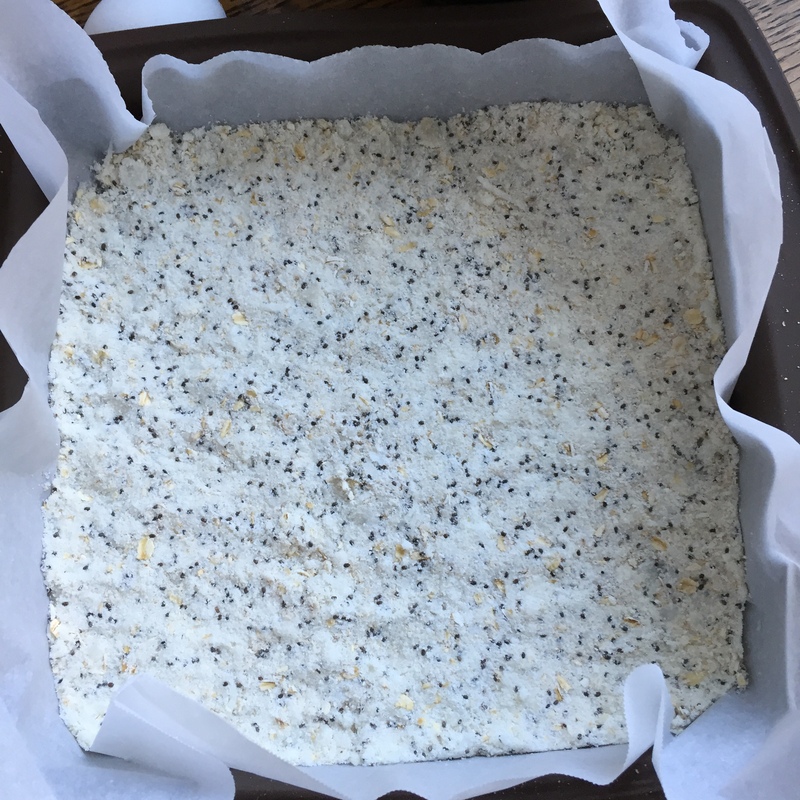 I adapted the recipe from an episode of The Chew, where Clinton Kelly made his Lightened Up Lemon Squares, and Sift and Whisk’s Vegan Meyer Lemon Bars (this blog is killer). Now, this recipe is still a semi-work in progress, as I plan on tweaking the crust to be more crust-like (right now its more cake than crust), but nonetheless my healthy vegan take on this classic packs a lemony punch. 2. Spray 8×8 baking dish with non-stick cooking spray (I used coconut oil). 3. In a microwave safe measuring cup, melt coconut oil. 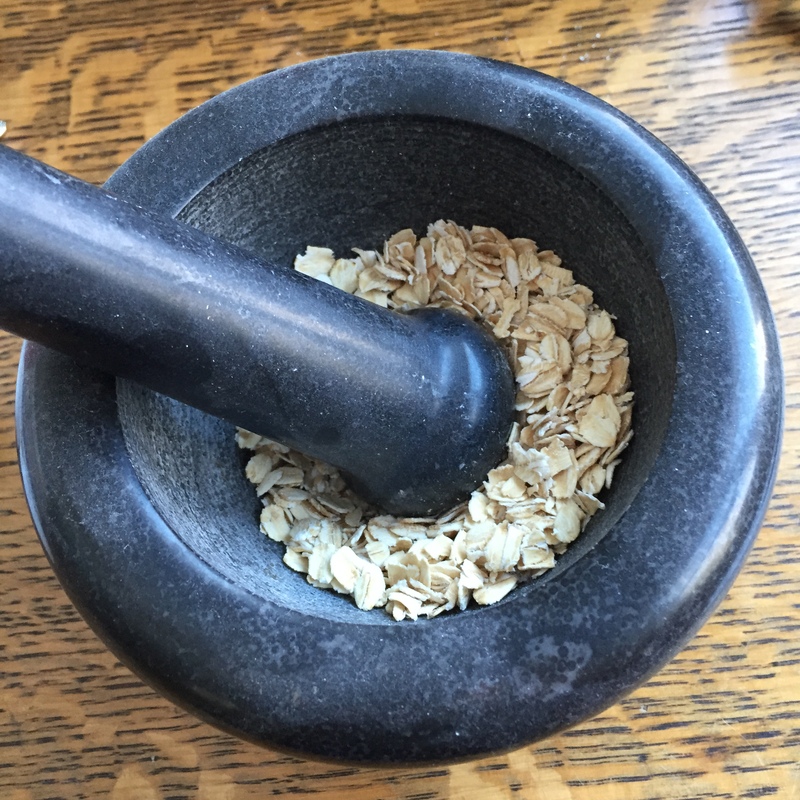 Crush rolled oats in a food processor or with a mortar and pestle. Combine coconut oil, coconut flour, oats, water, coconut, chia seeds, sugar and salt in a bowl. 4. Pour and firmly press the flour mixture into the baking dish. Bake for 15 minutes. Remove from oven and let cool. 5. In a large mixing bowl, whip the sugar and tofu together for the lemon curd. Add the lemon juice and zest. 6. In a small bowl, combine cornstarch and coconut flour. Gradually add the flour and cornstarch to the mixture (on low speed for standing and hand electric mixers). 7. Pour over the cooled crust and put back in the oven for 15 minutes. 8. Remove from the oven and allow to cool before cutting. 9. Sprinkle brown sugar on top and Enjoy! If you have any tips or suggestions for this recipe, feel free to comment below or contact me via Twitter or email theencyclofeedia@gmail.com.